Seventeen year-old Beth, a talented if not strange computer nerd and secret avatar designer, hears anti-holocaust statements from her history teacher. She decides to send her avatar back to January, 1945, to accompany her nineteen year-old great-grandfather Sandy through the last five months of WWII in Europe. Beth and her sister have heard many of his stories over the years but now Beth wants, no, needs, to see them unfold with her own eyes. As a manga cosplayer, Beth dresses in her Beth America outfit and pushes the button. She meets Sandy on the ship as he sails with his 42nd Rainbow Infantry Division to Marseilles, France. During their travels, Beth discovers the reasons why young U.S. soldiers went to war and how war affected them. She meets up with other avatars as they engage German teenage girls who suffered at the hands of soldiers, including German soldiers, when they entered their town in battle. And she watches with intense, painful horror as Sandy and his Recon buddies enter the gates of Dachau concentration camp. Beth sees the Holocaust with her own eyes. She knows without a doubt that it happened and feels compelled to make sure other young people in the U.S. are aware of the truth. Beth transforms from being an angry student who is trying to prove an inept teacher wrong into a young woman intent on teaching others. The Soldier, the Avatar, and the Holocaust: WWII Germany, Jan.-May, 1945 is based on the letters my father, Sanford “Sandy” Lebman wrote to my mother Lois from the battlefront in 1945, as well as on research at the National Military Archives, the U.S. Army 42nd Rainbow Division archives, and visits to Dachau Concentration camp near Munich, Germany. 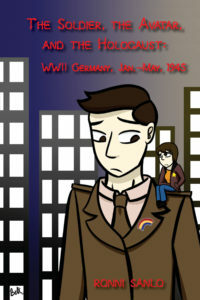 The purpose of the book is to show a new generation of readers the reality of the Holocaust so that it’s not forgotten. Everyone has a story to tell, whether it’s a particular event in your life or your entire life. 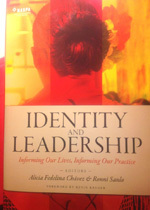 The important thing is that your life is documented so that your voice is not lost. It’s the DASH, that space between your year of birth and year of death. My sister Sherry’s dash is in between 1949 and 2016: 1948-2016. Her dash. In that dash space, she lived a life filled with joys and challenges, exciting travel and a soul-mate marriage. Our stories share that which has impacted our lives, changed the course of our lives, and made us who we are today. The problem, though, arises when you sit down to write. Nearly everyone gets stuck right after “Once Upon a Time.” I know. It happened to me as I began, or attempted to begin, my memoir. 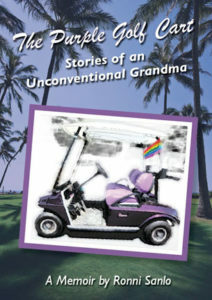 After numerous restarts, I “got” it, and my memoir, The Purple Golf Cart, was finally finished. I want to share my “IT” with you. 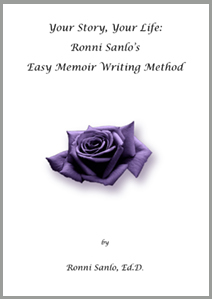 This PDF is a guide with examples on how to write your memoir in a pain-free, organized way. The memoir of a Florida woman who hid her lesbian identity for over 20 years. When she finally came out in 1979, she lost custody of her two young children which thrust her into activism fueled by anger. But it was her irreverent sense of humor that helped her to survive. This is a story of resilience and of passion for social justice. Homelessness, depression, and failed relationships gave way to forgiveness, success, and self-love. It is the story of one woman’s dance through life from difficult discoveries to sweet reunions. It is the story of the heartfelt joy of an unconventional grandma! Read about the repressive laws that gave Florida it’s anti-gay reputation, including the John’s Committee witch hunts in Florida’s education system. Understand the effects that the Anita Bryant campaign which repealed Miami’s gay right ordinance affected a lesbian mom and her family. Learn how a sense of humor, deep resilience, and strong spirituality brought a woman from homelessness and the depths of despair to becoming a professor at UCLA and a happy, loving grandma. In the heart-wrenching documentary LETTER TO ANITA, award-winning filmmaker Andrea Meyerson explores the painful legacy of singer Anita Bryant’s infamous anti-gay campaign of the late 1970s. Narrated by Emmy-winning actress Meredith Baxter, LETTER TO ANITA tells the story of Ronni Sanlo, a married mother of two who came out as a lesbian and divorced her husband, losing custody of her children as a result—an injustice that propelled Ronni into a life of LGBT activism. To screen this film on your campus or for your organization, contact Director Andrea Meyerson at andrea@stand-outproductions.com or Ronni Sanlo at ronnisanlo@gmail.com.